My gardens are beginning to produce large amounts of vegetables. 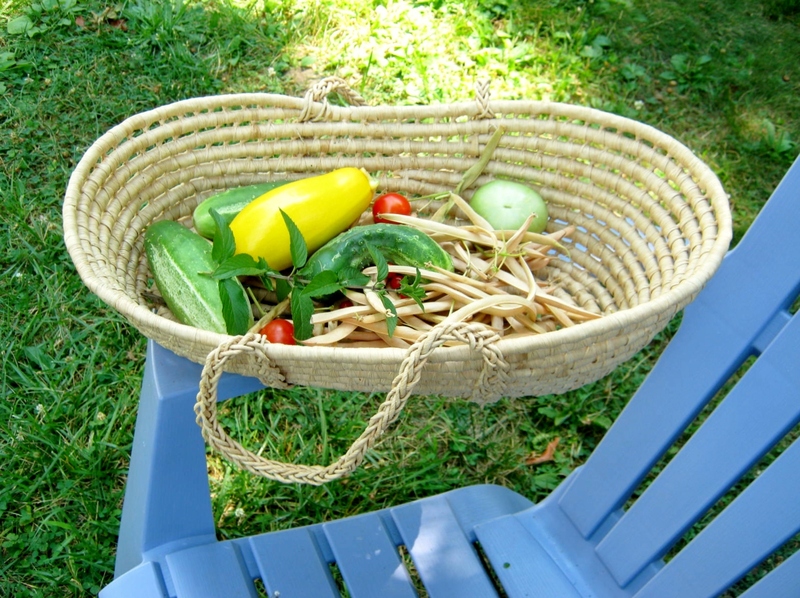 I am gloriously happy as I pick the fruits of my labor and place them in my trug basket. I have many cucumbers, squash, tomatoes (the ones the squirrels don’t eat) herbs and a new bush bean called Appaloosa Beans. I let these beans become completely dry on the bush. I only grew a few since it was something I hadn’t tried in the past. 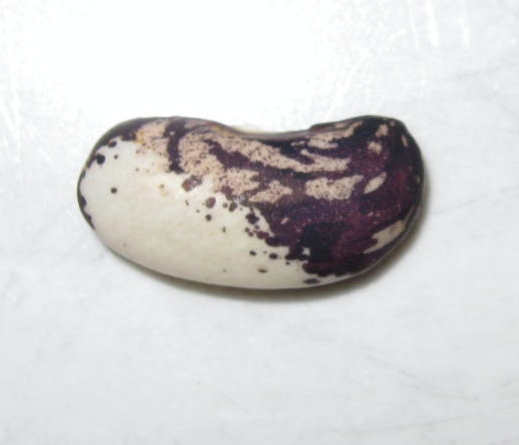 I am very pleased with the look of the bean. 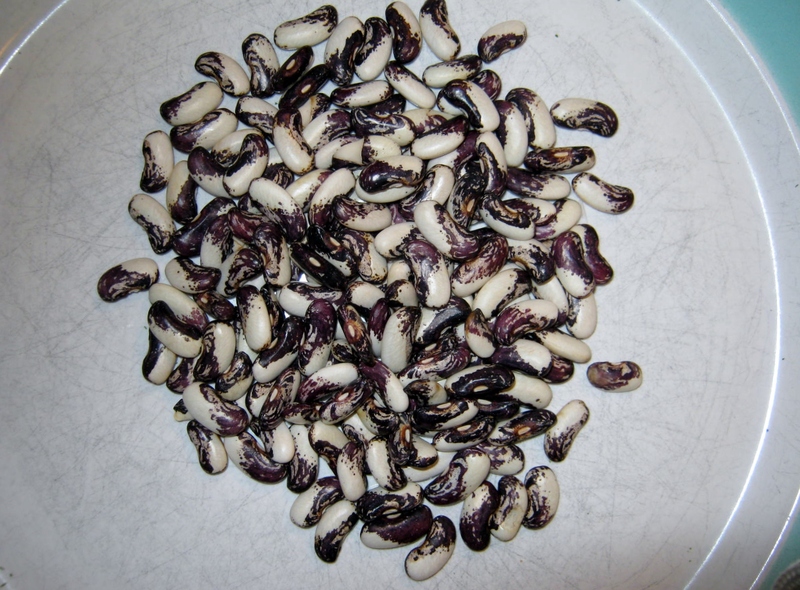 I don’t have enough to make a bean dish with them so I am going to save them and use them as the star attraction in winter soups and stews.